British passengers displayed their stiff upper lip yesterday as their Ryanair passenger jet plunged about five vertical miles in as many minutes on a flight from Bristol, England to Gerona, Spain. The majority of the 168 passengers were Britons, who reportedly handled the incident with aplomb. 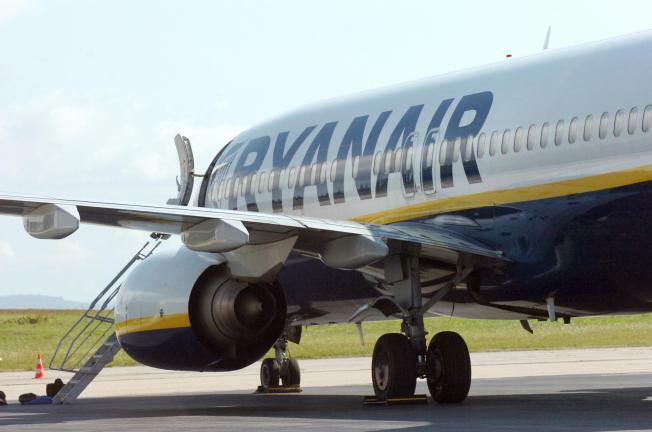 Oxygen masks deployed as the jet rapidly depressurized during the flight and the Associated Press reports Ryanair issued a statement that several passengers were hospitalized with "ear aches." Passenger Pen Hadow told news service Sky News that, ""I think it's fair to say there was muffled consternation in the first few seconds." The near disaster came just a week after more than 150 passengers were killed when a Spanish travel jet caught fire upon takeoff from Madrid and crashed into a ditch.